Facebook has begun alerting some users that it will soon force them to use the company's standalone Messenger app if they want to chat on mobile. The move isn't an isolated trial run. "Today we are starting to notify people that messages are moving out of the Facebook app and over to the Messenger app," a Facebook spokesperson wrote in an email to TechRadar. "To continue sending messages on mobile, people will need to install the Messenger app." Referred to as an "update," the change will affect those with an iOS or Android device. Currently, users in a handful of European countries are being notified of the switch, and Facebook declined to offer details on a further roll out. 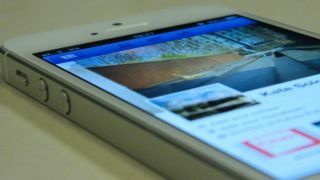 However, according to TechCrunch, all Facebook mobile users will eventually be forced to move to Messenger. European users receiving notifications reportedly have about two weeks before they can no longer chat within mobile Facebook's apps. Facebook's mobile offerings have, for as long as we can remember, included a integrated tab to chit-chat with friends. However, Facebook recently made it so those who had the Messenger app installed were shuttled there when they hit the inner-app messaging tab. Even so, users didn't have to download Messenger if they wanted to. That choice is now being taken out of their hands, though with Facebook's vagueness we don't know when it will reach all users (if at all). Although the move is sure to anger some, it shouldn't come as a surprise. CEO Mark Zuckerberg said in November 2013 Facebook was planning to take messaging out of the main Facebook app. Zuckerberg went on to lay out the central reason given today by Facebook's spokespeople; the company can now focus on making Messenger as good a service as possible without having to deal with two separate messaging experiences. Users will receive multiple notices before the changes go into effect, Facebook informed us. Guess what's new with Facebook's ads?